Independent oil and gas industry specialist Ramco has committed to growth plans in the Middle East with a key move. “We have proven pipe care unit (PCU) technology that can be quickly deployed, supported by local expertise to oversee operations. 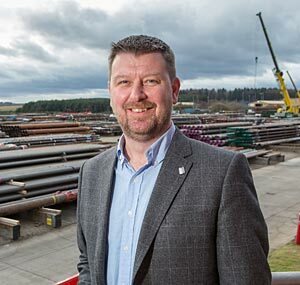 I look forward to further developing our relationships with operators and our partners in the region, demonstrating the benefits of a Total Tubular Management approach supported by our newly developed ROMS operating system,” adds O’Neill. The Ramco team will be meeting with suppliers and customers at ADIPEC 2017, 13-16 November. Ramco will be exhibiting as part of Scottish Development International.